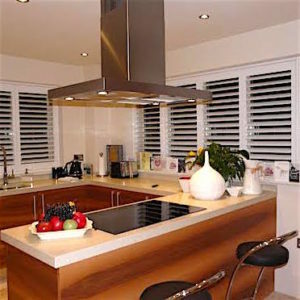 Macclesfield plantation shutters by Just Shutters, your local experts. Offering the very best range of interior, bespoke shutters in Macclesfield, Prestbury, Bollington, Congleton and the surrounding areas. Just Shutters offer an extensive array of options to suit any home from full height to tier-on-tier and café, and every other combination you can conceive – so shutters will suit any window, any shape. We have the colour, style and louver size to suit your home. Our expert shutter designers will be with you every step of the way to listen and advise. We will ensure we get the very best result that is unique to you. So whether you are in a Macclesfield Georgian townhouse in the town centre, or a countryside farm or rural retreat, if you like modern living, or traditional country décor, we can offer the complementary solution. If you are considering shutters as a range of options, it may help you to know that shutters offer long lasting value and benefits. For example shutters do not degrade over time, they are not affected by sun so do not bleach or warp and they don’t gather dust, moulds, mildews or allergens like fabrics and untreated woods. Shutters are not just beautiful, they offer long term value, please call Richard, your local shutter expert to arrange an appointment, 0161 413 4525 or book an appointment online here. We would be happy to answer any questions you may have about our Macclesfield plantation shutters; you may also like to browse our extensive website to learn more about the vast range of shutter styles we can offer. View our galleries to get a sense of how our shutters could look in your home, or download our full colour brochure for everything you need to know about our beautiful products and highly acclaimed service. Who are Just Shutters Macclesfield? Contact us today on 0161 413 4525.